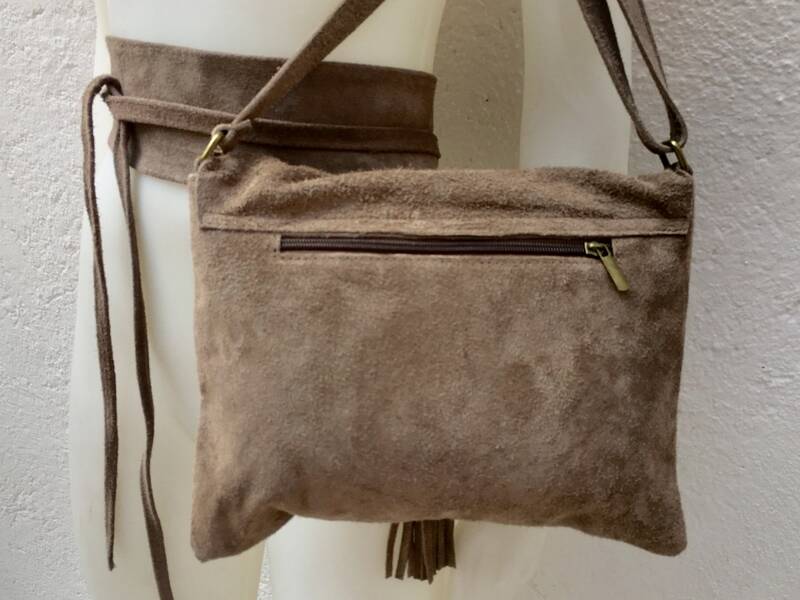 BOHO suede leather bag and obi belt in TAUPE brown -beige. 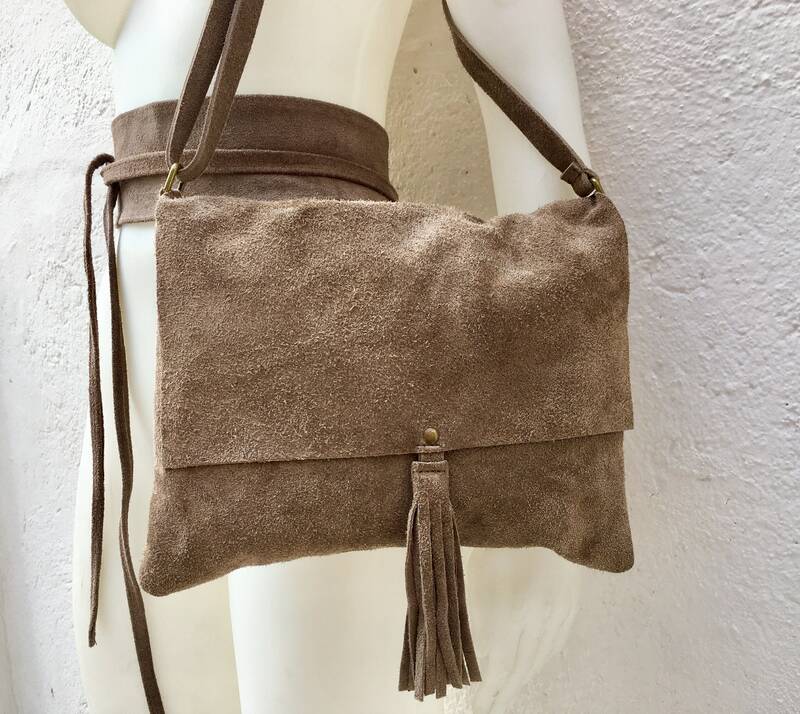 Soft natural leather bag. 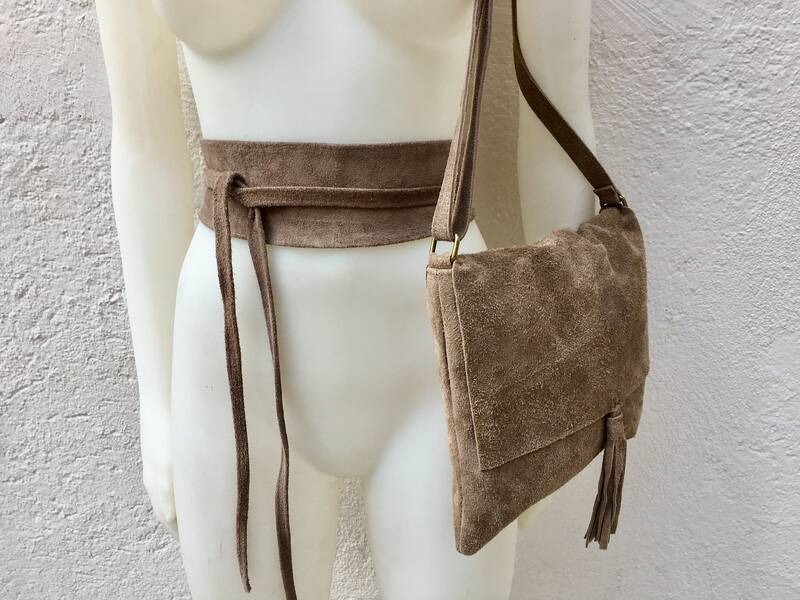 Genuine suede set of bag and belt. 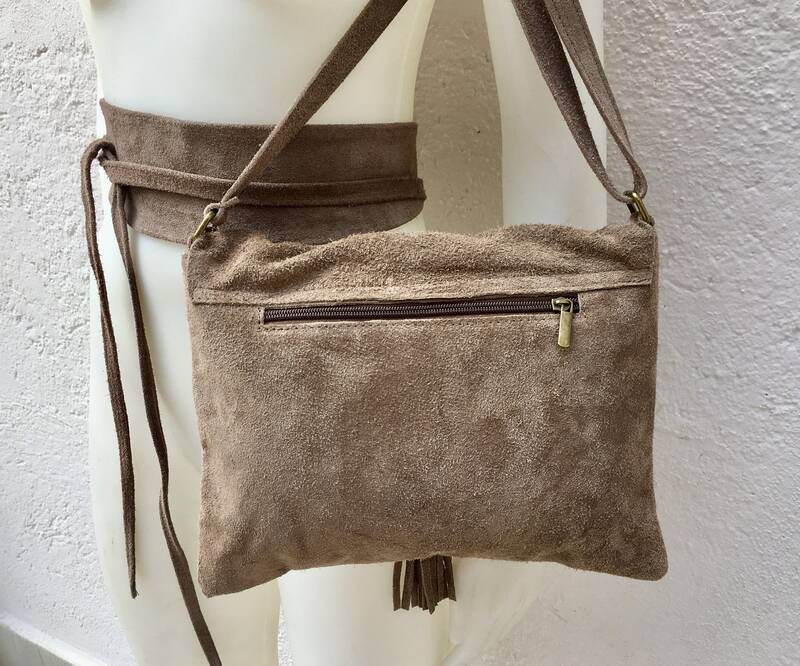 Bohemian leather bag and matching obi belt in TAUPE brown. The color is a very dark shade of beige, towards gray. GENUINE suede leather. The inside of the bag is lined in a strong nylon-cotton mix fabric . It has a main zipper on its upper part (underneath the flap) and one extra zipper closed pocket at the back side of the bag aswell. Adjustable suede straps. 220 cm (86 inch) long and 8 cm (3 inch) at its widest (front) it gets smaller towards the end up to 1 cm (0,4 inch).